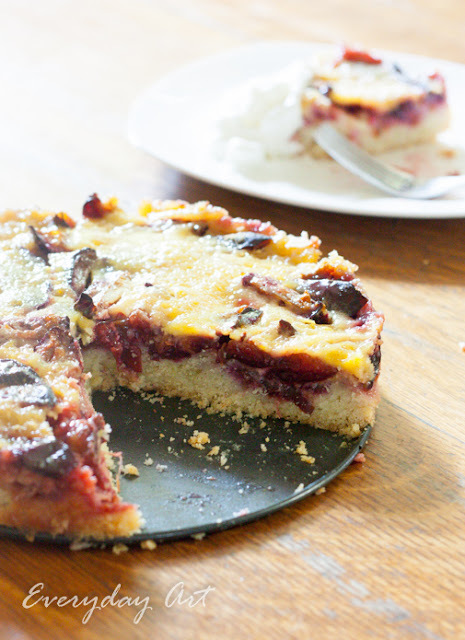 I am in love with this spiced plum custard cake! Deeply. It is quite possibly the yummiest thing I have ever put in my mouth! Sooo good. I mentioned that on apple harvest day, we also harvested a bunch of plums. We made plum jam and plum syrup, pear-plum pie and pear-plum breakfast crisp. And then I decided to give this baby a whirl, and it did not disappoint! 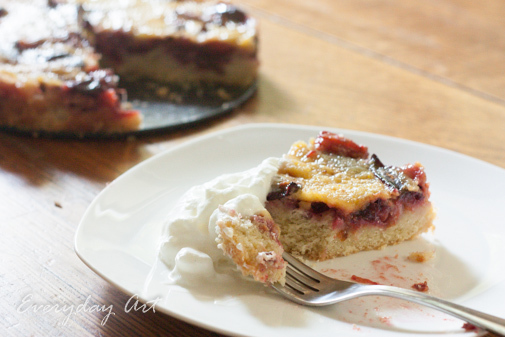 I was looking on the web for good-looking recipes to use for all my plums and settled on this one for Spiced Plum Custard Cake from The Baker Chick. I'm glad I found her site--she has a plethora of fantastic looking baked goods, which of course I am a huge fan of. Who isn't? Anyway, I first made this for my cousin who recently had a baby--I made two actually. One for them and one for us. Well, it didn't take but about 12 hours before I wanted more of it, so I made it again the very next weekend to take over to my mom's house for dinner, and once again it was well enjoyed. It's is kind of a fun different recipe. 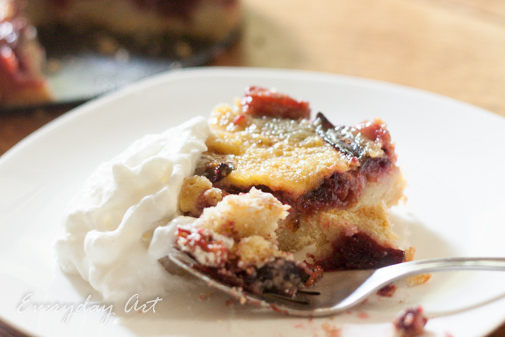 First you make a dry, crumbly, almost biscuit like mixture and press that into a spring-form pan and top it with a bunch of sliced, spiced plums. Next you, add a custard mixture on top and bake it some more. Then, voila! Delicious, moist custard cake. 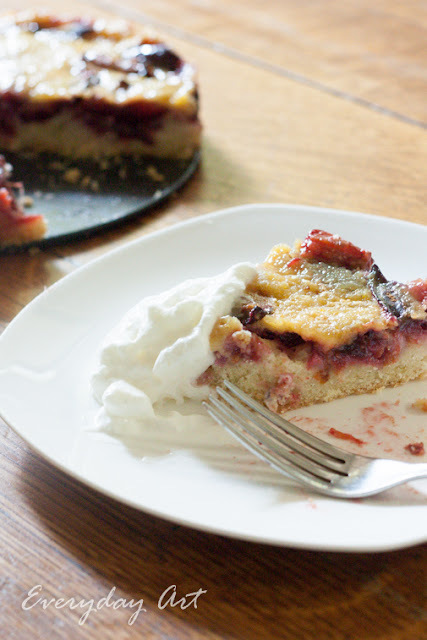 Who knew I'd like our plums so much? They have been a lot of fun to bake with and just to munch on. Tomorrow's agenda is to make fruit leather. Just kidding. I wish I could, but alas, I'm going to try and hold off on having too many sweets this next week! Anyway, you really should give this recipe a try. Moving Day for the Chickies!